And his conclusion after these encounters? “I left feeling that it is even more important that the Government re-iterates its view that the UK will not impose a border and calls the EU’s bluff,” Jacob Rees-Mogg told his local paper The Somerset Herald. Rees-Mogg is often not taken seriously enough. He is seen as lovable eccentric, an old Etonian who sometimes tweets in Latin, who named his sixth child Sixtus and for his uncanny resemblance to Walter the Softy of Beano fame. In fact he currently holds the fate of the government, and, by extension, all of us in his immaculately manicured hands. 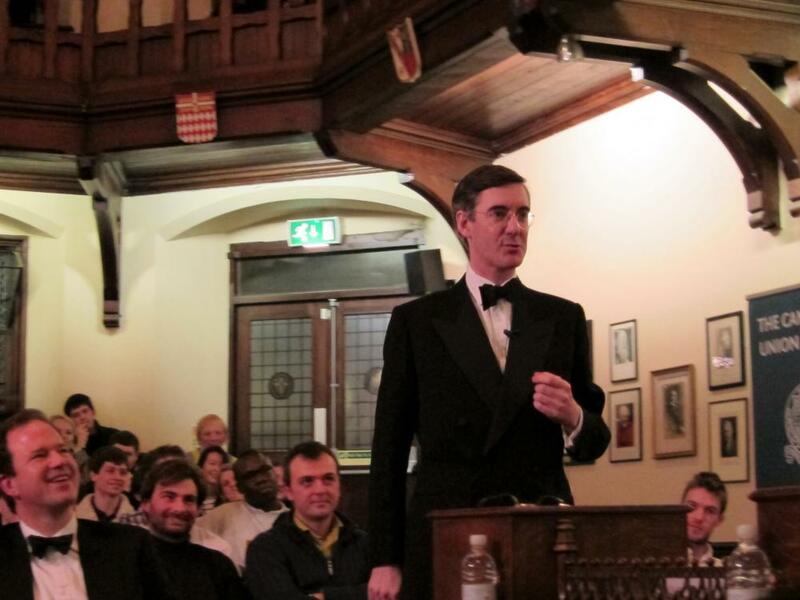 Rees-Mogg chairs the shadowy European Research Group which is believed to have a membership of up to 80 fellow Conservatives. It is a party within a party. And it has within it the power to pull the government down. At the ERG’s core is the espousal of the principle of parliamentary sovereignty – the notion that the UK parliament and it alone should be the supreme legislature for the UK. This is an expression of British nationalism, and for nationalists of any ilk there are more important factors than the interests of business, of jobs and of the economy. We know that all too well here. For Irish nationalists, by definition, a united Ireland is a thing to be aspired to in itself even if that meant we would be worse off, the same applies to unionists in their allegiance to the UK. Rees-Mogg and his colleagues are following in the footsteps of Enoch Powell, who, in the early 1970s was so opposed to then Prime Minister Edward Heath’s pro-European stance that he encouraged Tory supporters to vote Labour and then left the party to join the Ulster Unionists. To follow in that tradition is to assert that parliamentary sovereignty is what defines Britain; that any erosion of that sovereignty is unacceptable; that the Conservative Party is patriotic, and that therefore true Conservatives should and must oppose any arrangement that cedes sovereignty to Europe even if that comes at a cost. This is not the politics of negotiation and compromise it is an absolutist position. And it explains why David Davis, who has been connected with the ERG said that he believed that the government’s position paper on Brexit would create the “illusion” of parliamentary authority, and Boris Johnson in more colourful language said he believed it would result in Britain becoming a “colony”. Funnily enough May’s proposals fit that description. They envisage paying the European union for an arrangement which is not as good as the one the UK has through membership, whilst not giving it the right to help shape the policies and legislation which will govern future trade relations. Rees-Mogg has already argued this point, and it is one issue on which he and remainers agree: that the government’s current proposals leave the UK in a worse position than being a full member. His solution appears to be hardening to one which would actually prefer a no-deal Brexit. This would leave the UK falling back on World Trade Organisation rules, and would leave the Irish situation unaddressed. Writing in the Daily Telegraph he claims: “We ought not to take Brussels too seriously about the Irish Question… The Commission hides behind faux concern for the Irish border undermining the single market, something that is, in the jargon, uncommuniataire. No doubt this will be left to the inevitable, tiresome 11th hour summiteering at the end of this process. Rees-Mogg’s language is so unfailingly polite, so apparently reasonable that you have to read that passage several times for it to sink in. The reality is that his determination to leave the European Union is so steadfast that if that causes problems in Ireland, that’s really a matter for the Irish and Brussels to sort out. The ERG comprises a minority within the Conservative Party but it is a powerful one and has enough firepower to force a leadership contest. Its members are most unlikely to vote in favour of a deal based on May’s current plan. That leaves May trying to recruit Labour and the Liberal Democrats to support her – a seemingly unlikely prospect. And as time ticks on the prospect of leaving the European Union with no deal, and all that implies looms larger and larger.